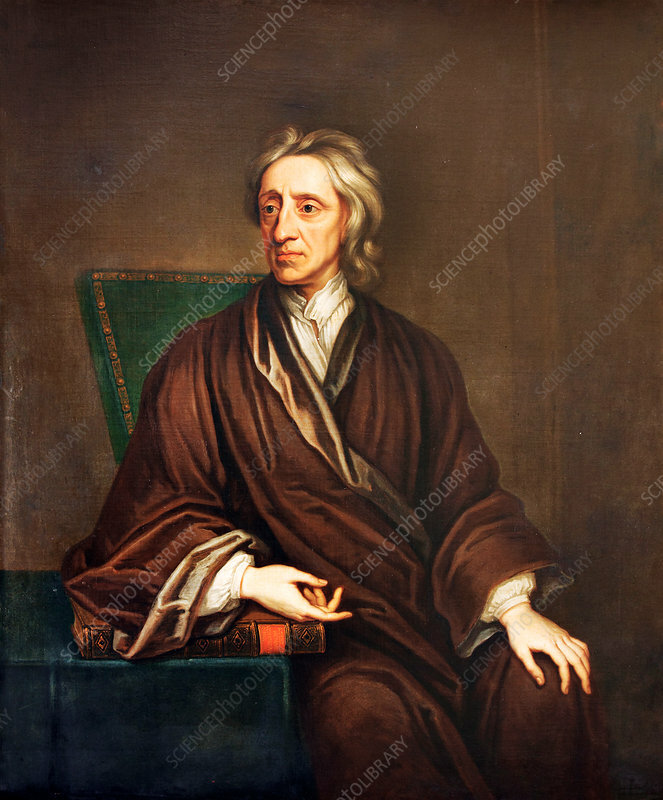 John Locke (1632-1704), English philosopher. Locke's early years lecturing at Oxford University were followed by fifteen years in France, where he met most of Europe's leading scientists and thinkers. On his return, Locke's 'Essay Concerning Human Understanding' (1690) suggested that the mind at birth is a tabula rasa (blank slate) on which knowledge is imprinted by experience. Locke also argued that the proper basis of knowledge is experiment. He also published 'Two Treaties on Civil Government' (1690). This oil-on-canvas work is by Thomas Gibson (c.1680-1751).